The store is a team-up between APD and Fieldhouse; Fieldhouse is a leading merchandiser for many schools and related organizations. With hundreds of items available, APD's Fieldhouse store allows various and wide ranging customization of products. Customization.Fieldhouse allows for a great deal of online customization -- make your product the way you want it. For instance go to our Fieldhouse site, click under "Mens" and select "Sports Shirts" -- then select, for example, the color-block raglan jersey -- on the next screen you can customize color, logo and a variety of other detail of the item. Or, same concept click on "Accessories" and select "Mugs" and see the array of variations you can make on product you order. Gift Cards. Want to get a gift for an APD brother? An APD Store Fieldhouse gift card is the way to go. Benefit: When you shop at APD's Fieldhouse store, a share of all proceeds go to Alpha Phi Delta Fraternity! 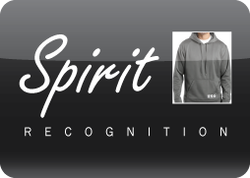 Since 1995, Spirit Recognition has been a retailer for APD, offering a variety of products, clothing, and merchandise all branded with our name, logo or letters. Spirit also takes custom orders for special events. 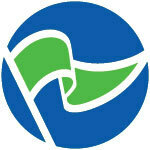 On the main page for APD, Spirit regularly has a special offer package deal. Spirit is a vendor for 46 fraternities and sororities and has a long-standing relationship with greek community, especially America's national fraternities. What is APD's Bookrenter Store? The website apd.bookrenter.com allows you to get the books you need for college classes, home, or pleasure, on the cheap! With this service, you get to rent books rather than buy them - at a considerable savings to you. How does this work? At apd.bookrenter.com you get to rent your books for the semester rather than having to buy them. This service allows you to rent your books for varying amount of times -- for example, a 125 day covers a semester, 60 days covers you for a summer class, 90 days for schools operating on quarters. In addition, since you are renting and not buying the books, the price is much, much lower -- sometimes as low as 25% of the actual price of the book or even less! You rent the books and they are shipped to you free of charge. At the end of your rental period, you send the books back postage paid to apd.bookrenter.com! What if I Want to Buy a Book? We should also mention, that if you actually want to buy a book at apd.bookrenter.com, you can do that too... and at a better price than at many bookstores. Does this service help Alpha Phi Delta in any way? Let us add that on top of the savings, the service and the selection, there is another benefit to apd.bookrenter.com ... and it is an important one. You see, Alpha Phi Delta Fraternity is helped by apd.bookrenter.com because with each rental, the fraternity gets a royalty payment -- and that extra income allows us to serve you better as a National Fraternity. Herff Jones Company manufactures and sells fraternity and sorority recognition and achievement products, and has been in continuous operation for 90 years. 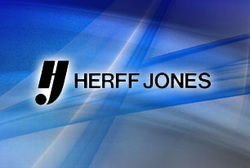 Herff Jones maintains production facilities across the United States as well as in Canada. Among its most famous products: the Heisman Trophy, Indianapolis 500 rings, and Superbowl rings! How does Herff-Jones service the fraternities of America? Click here to find out in a short film. For Alpha Phi Delta, Herff-Jones offers an array of products: fraternity pins, officer dangles, chapter guards, recognition pins and much more. To quickly order a fraternity pin, click here.